Learned sap simple logistic from here, great institute with professional trainers. Placement assistance and test for practices. Best in Pune, thank you aspire for providing me great trainers. I got placed in MNC company with the help of you. happy to learn at aspire, thank you for your placement assistance. I got wonderful kickstart in SAP logistics. SAP HANA simple logistics is also known as HANA enterprise management. Different area of business is combined in this suit itself like HANA enterprisemanagement helps in faster and efficient processing of business data in the area of logistics, supplychain, procurement, userexperience, sales, partner management.So SAP HANA simple logistics have subsectors like SAP S/4HANA Sales, SAP S/4HANA Supply Chain, etc. which are very easy and quick to learn. So, by learning this suit itself, one can become expert in the useof SAPsoftware for varied work in a business.The area not covered by SAP HANA simple logistics or enterprise management are Finance and human resource, these two are covered by other SAP HANA functional components. According to NEWS, SAP has announced €5.26bn revenue for the first quarter of 2018, of which €1.1bn i.e. about 21% of the total – was for cloud subscription and support. The SAP HANA logistics is part of this cloud-basedsubscriptions. So be the part of growth worthy area. Do call us. 1. Do I need software experience to learn SAP HANA simple logistics. 2. Do I need industry experience in production,sales,sales supply chain etc. - Yes, but it is only two years, so if you have two years of experience you can gain SAP HANA enterprise management or simple logistics knowledge. 3. What are job profilenames for SAP HANA enterprise management expert? - Technology Solution Planner, SAP HANA SD consultant, SAP S/4HANA Logistics Execution Delivery Managementexpert, logistics consultants, SAP Solution Architect Hana Cloud S/4 Sales/Logistic/Supply Chain, in general one could find SAP HANA consultant job in varied domains according to your background. 4. After doing this course will I be getting a job in the software industry or can I go to my previous field. - This is a very interesting thing with this kind of course, it opens the opportunity for you to go either way. 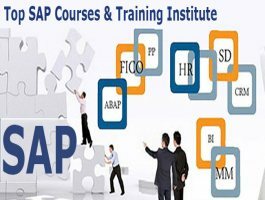 For example, one could choose to transfer his/her career from mechanical engineering field to total software industry of SAP or One could enhance his/her knowledgeof vehicle production related SAP HANA suits, as many big organizations implement SAP now a day and use this course acumen to leverage his position inthe same previous field. 5. What is the average duration of the course? 6. Do you provide weekday or weekend classes? 7. Can you tell me about the trainer? - All of our trainers are well qualified having about 5 to 10 years of experience in industry. 8. What about placement, do you help with placement after course completion? - Definitely, we do, we have dedicated people to help you get placed with good companies.Many of our students are in good companies.Our trainers also havethe greatprofessional background. 9. 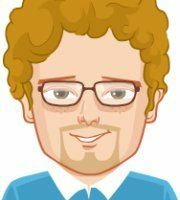 Will getting trained by you will help me clear my SAP certification? - We provide thorough training and practical secessions which will very positively help you clear your SAP certification. 10. Why I should join Aspire Techsoft? - Aspire provide best sap simple logistics course with placement in pune,Our training center will provide you server access, the training will be in the classroom and you can use our well-equipped lab to do your practical.We provide study material through google drives.Classes are in person so the trainer is available in front of you to clear any doubts promptly.Size of the class is deliberately kept small to focus on every student. Great institute in Pune, go fo this simple logistic training.